Take a look at these Top 10 Royal Caribbean Cruise Deals. Keep checking back for the latest prices for upcoming sailings throughout the fleet. You’ll be taken to a third party site provided by our partner at Cruiseline.com. If you come across any great bargain then feel free to share this page so that your friends can take full advantage of booking a cruise at these low prices. Why Book a Royal Caribbean Cruise? Royal Caribbean is one of the biggest and most popular cruise lines in the world. The Miami-based cruise line brings innovation and onboard adventure to new heights and probably more than any other line in the industry. If you do end up taking advantage of the Royal Caribbean cruise deals you’ll be met with the largest cruise ships in the world which in turn offer new experiences for any type of cruiser. 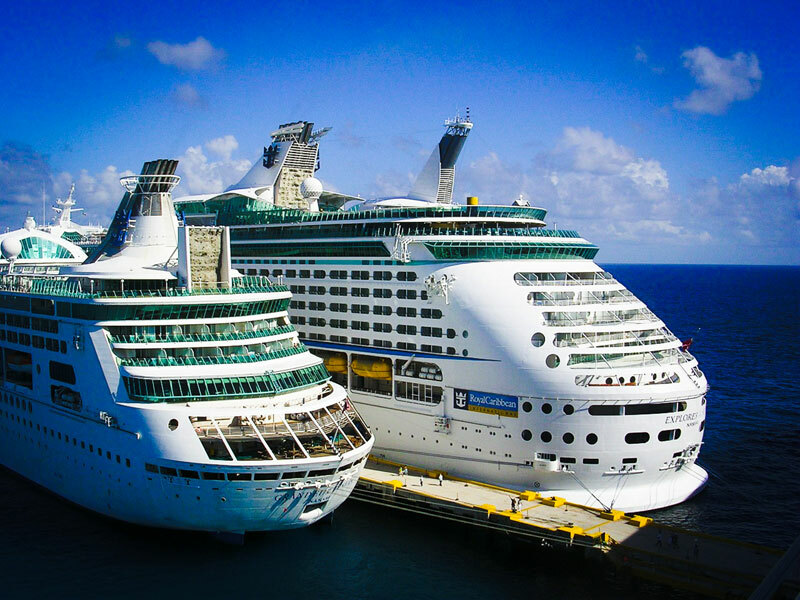 The Royal Caribbean Cruise Ships Take Center Stage! The oasis-class ships includes Oasis of the Seas, Allure of the Seas, Harmony of the Seas and Symphony of the Seas. These are the largest class cruise ships in the world and there isn’t any of ship like them. It’s worth taking a cruise just to experience these floating cities! Royal Caribbean also has the Quantum-class vessels which bring innovation like never before. This class includes Quantum of the Seas, Anthem of the Seas and Ovation of the Seas. Spectrum of the Seas will join this class in 2019. These ships offer robotic bartenders, the North Star, a Flying machine called Ripcord by iFLY and tons more industry firsts.